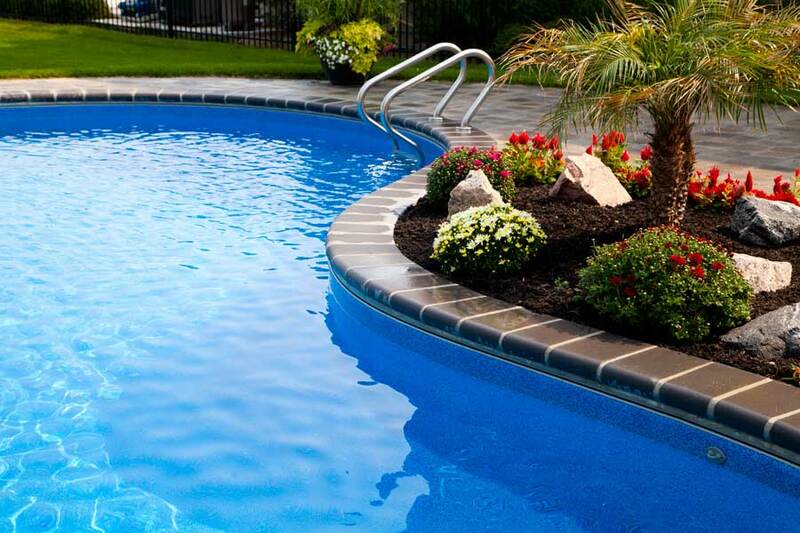 The Barans pool may be lakeside but your eye is still drawn to this elegant and beautiful pool. 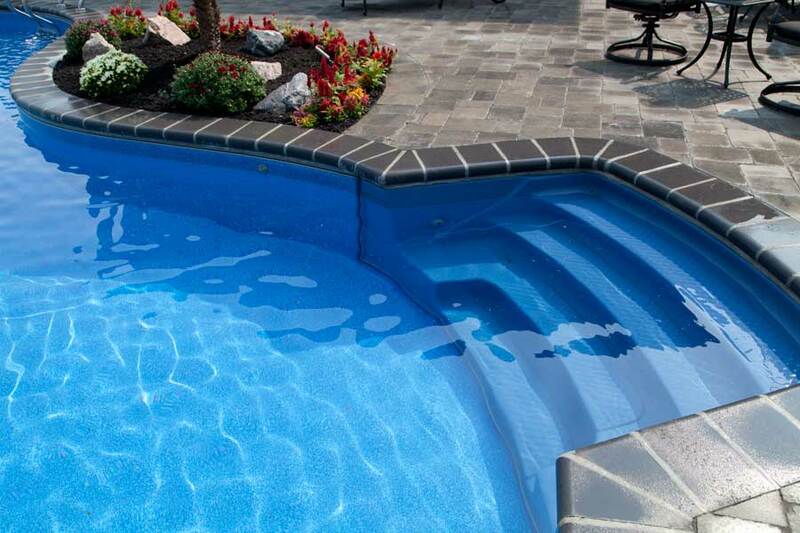 The rich blue liner and matching thermoplastic steps pair perfectly to create a refreshing and inviting retreat for friends and family alike. 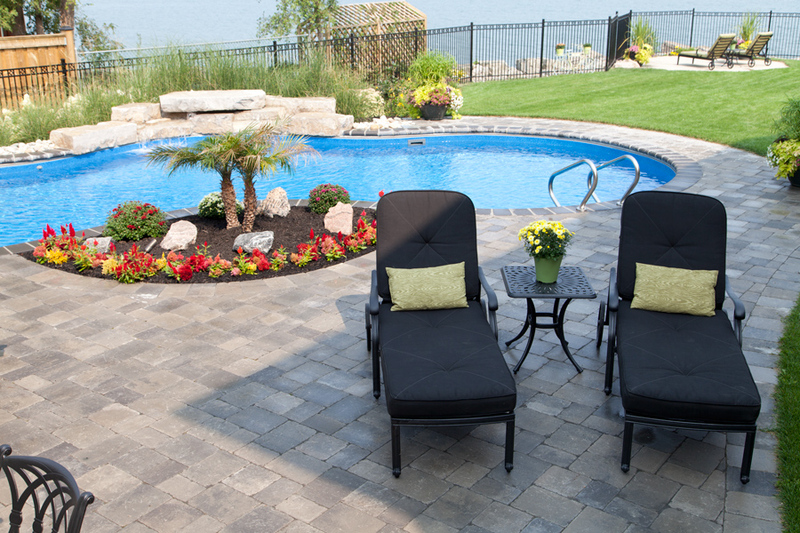 The dark patio stones that line the poolside draw the eye in and create focus on the extended rock waterfall that is a delight for both the eyes and the ears. 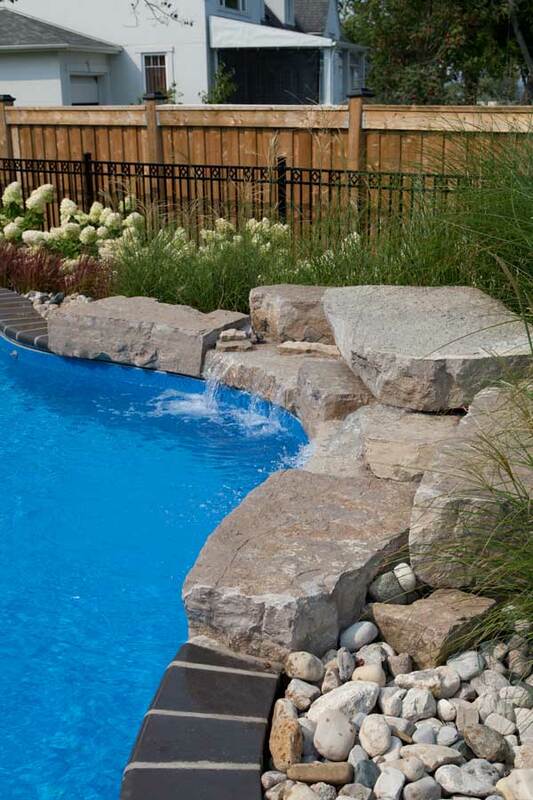 The poolside garden brings natural beauty within inches of the pool to signify the liveliness of this backyard escape. 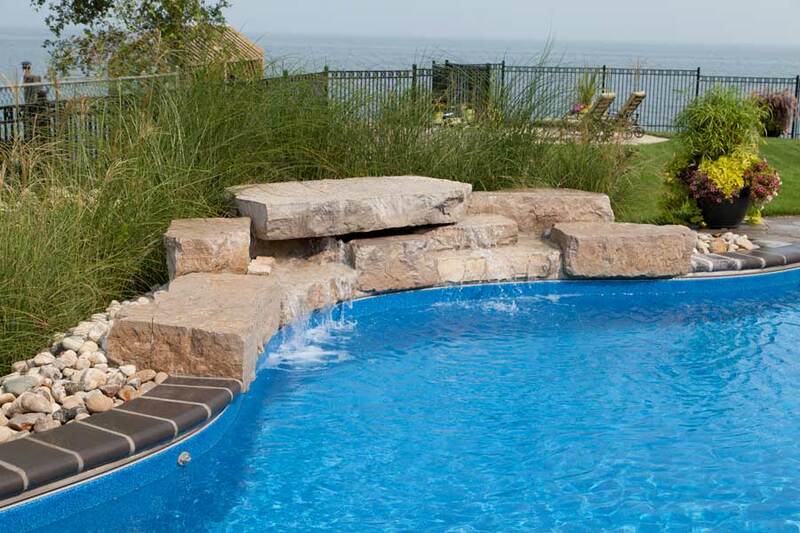 Multiple entry points into the pool make this an entertainers dream all summer long.